These two sets were 1967 carded releases. Construction (7572) supplied the helmet, gloves, and jackhammer, all of which can be tough to find today. 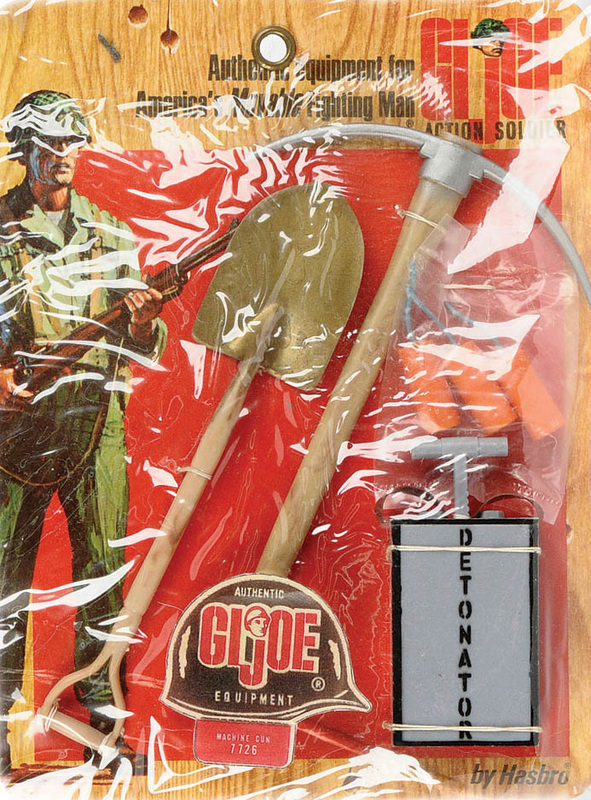 Because the pick, shovel, dynamite, and detonator in Demolition (7573) were available with other sets, they are easier to find. 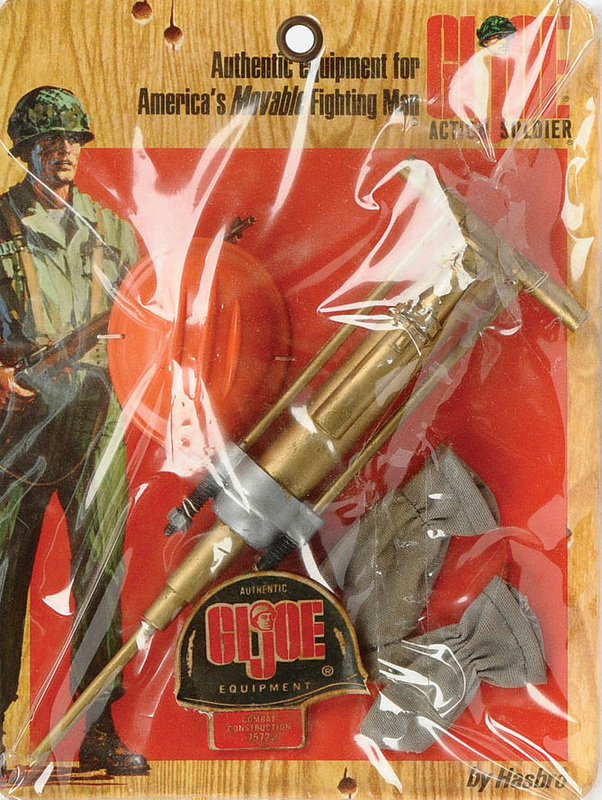 Note the early detonator has a vinyl strap; this was omitted in the Adventures of and Adventure Team eras. Very tough cards to find, like the Combat Engineer. Images of the carded sets above copyright and courtesy of Vectis Auctions Ltd.